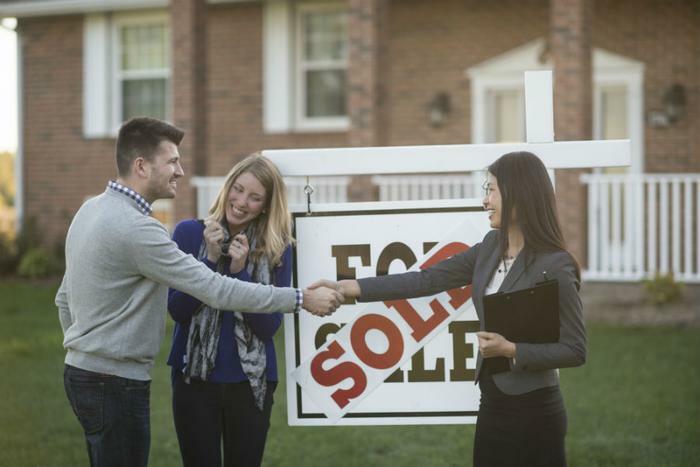 Since the Great Recession, homeownership rates for millennials have been lower than previous generations at the same stage in life, and a new report from the Urban Institute suggests several reasons why. Millennials are getting married later, and while single people do buy houses, it is more common for couples to make that purchase together. Various studies have shown that fewer millennials are getting married -- and when they do tie the knot, they are older than previous generations. The Urban Institute research suggests that is one of the main reasons homeownership among this group lags behind baby boomers and generation X. Both of those generations had a 45 percent homeownership rate when they were between the ages of 25 and 34. The homeownership rate among millennials currently in this age bracket is 37 percent. A growing family was also a reason for a couple to buy a home, but today couples are waiting longer to have children, if they even have them at all. The research shows the percentage of young married couples with children fell to 25 percent in 2015, from 37 percent in 1990. The Institute reports the presence of a child in a household increases the chance of owning a home by 6 percent. However, that's not to say millennials aren't buying houses. As the nation's largest generation, they made up the largest share of homebuyers in the National Association of Realtors' 2015 Generational Study. It is only when compared to other generations, when they were in the same age bracket, that the disparity is evident. And the Urban Institute report suggests millennials face economic headwinds other generations did not. When baby boomers went to college, student loans were a rarity. The cost of a college education did not put students and their families in debt. Since the turn of the century, many college students graduate with a student loan debt the size of a small mortgage. That makes it more difficult to qualify for a loan to purchase a home, a process that is already more difficult than it was for previous generations. After the housing crash, mortgage lenders implemented highly restrictive standards for qualifying for a mortgage. As a result, fewer people who would like to purchase a home are able to do so. Since the housing crash, homebuilders have produced new homes at about half the rate that they did before the crash. As a result, there is a growing housing shortage that has pushed up home prices, especially in urban areas – which is where millennials prefer to live. Why does it matter? According to the Urban Institute, homeownership is highly beneficial to most families. It not only offers a stable place to live, but it provides a hedge against inflation and a pathway to building wealth. The evidence can be found in a comparison of household wealth. The net worth of the average household that owns a home is $231,420, compared with the average renter’s $5,200. Because of that, the report's authors say their findings should be of “great concern."